A surprisingly profound sentiment for a band of 21-year olds. 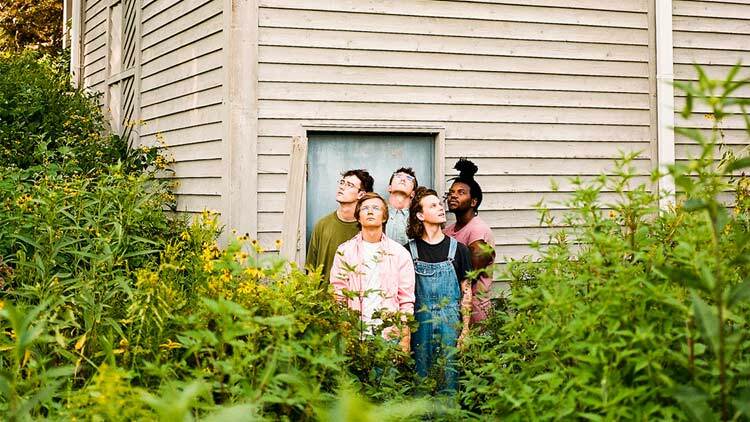 Nevertheless, it’s a sentiment that animates much of​ landmark, the debut album from Minneapolis’ Hippo Campus. landmark’s recording, helmed by BJ Burton (Bon Iver, Sylvan Esso, etc. ), primarily took place at Sonic Ranch, with finishing touches applied at Pachyderm Studios in the band’s native Minnesota. The ranch, a residential studio located on a 2300-acre pecan farm near the border between Texas and Mexico, represented a big shift for four young men from the northern Midwest's cooler climes. "You're just in the middle of the desert, and there are these pecan trees for as far as you can see," says Stocker. "It's pretty surreal—kind of like a dream." Indeed, ​landmark invites introspection and close listening—even its most upbeat songs are rich with details, like the whistling break that lands in the middle of the galloping "Simple Season" or the spangles of guitar that slice through the clamor of "Tuesday." Elsewhere, the second half of​landmark is dominated by a somber stretch that includes the lush "Monsoon," which slowly blooms into a quiet freak-out of reverb and synth, a revelation in the context of the band’s catalog. "It was a breakthrough—we could use the studio and make something transcendent," says Luppen. Transcendence doesn’t come easy. It’s usually the payoff to a long journey. And while Hippo Campus’ journey is still being written, with ​landmark, the band has never seemed more confident in the road they’re walking.